Facelift surgery, technically known as a “rhytidectomy,” is a cosmetic procedure designed to provide a more youthful facial appearance. Over time heredity, gravity, stress, and environmental conditions take a toll on our skin and cause us to look noticeably older. 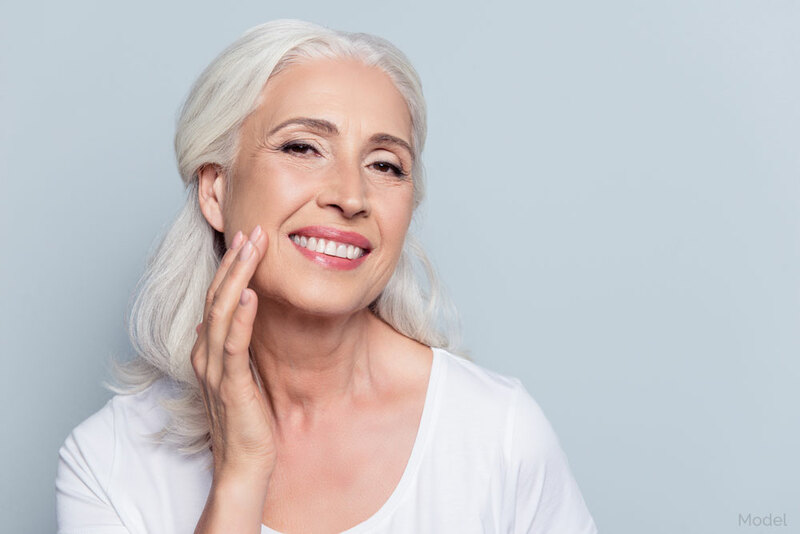 A facelift improves the signs of aging in the face and neck, including fine lines, wrinkles, sagging skin, jowls, marionette lines, nasolabial folds, and hollows beneath the eyes. Facelift surgery provides a significantly more youthful, rested appearance, which allows patients to feel better about themselves and boosts their confidence and self esteem. Previous facelift techniques only tightened the skin, potentially resulting in a pulled or wind-blown look. Current facelift techniques tighten the skin as well as the underlying structures of the face, providing very natural-looking results that are long lasting. Dr. Knowlings’ goal has always been to, in a subtle yet distinctive way, restore his patients’ appearance to that of a more youthful one, by accentuating their attractive features, not changing their identity. He believes that his work receives its greatest compliment when his patients’ friends and associates cannot detect what actually has changed about their appearance, yet are certain that something has changed. The patients appreciate very much that their aesthetic goals have been accomplished without the outward appearance of having had “a procedure”. A facelift can take up to ten years off of your appearance, and when you look younger, you often feel younger. Dr. Knowlings’ goal for his facial rejuvenation patients is that they look as young as they feel. A traditional facelift addresses fine lines, wrinkles, and sagging skin in the lower face, jowls and neck. Dr. Knowling commonly releases deeper facial retaining ligaments to achieve a more long-lasting, durable result. The final touch is removal of sagging skin with particular focus on wound closure and orientation to minimize scar visibility and appearance. 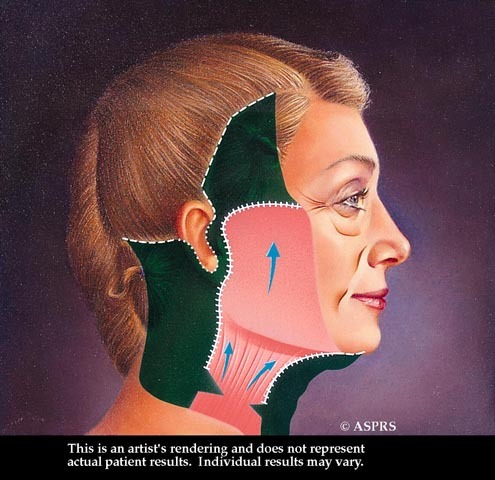 A neck lift is often performed along with a traditional facelift procedure. Dr. Knowling tightens the neck muscles and removes sagging skin to produce smoother, more youthful-looking neck contours. Dr. Knowling commonly removes excess fat in the neck during this procedure. Produces a more youthful looking neck. Q. 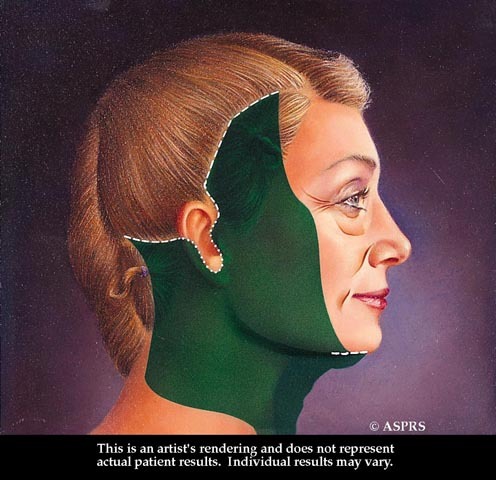 How to I know when I’m ready for a facelift? Q. How long can one expect to be out of work? A. Patients are generally able to return to work at two weeks post-operatively as all visible sutures have been removed by then. Four to six weeks is required for full healing in general. Subtle changes take place for up to six months post-operatively. Q. What form of anesthetic is used for facial rejuvenation? A. 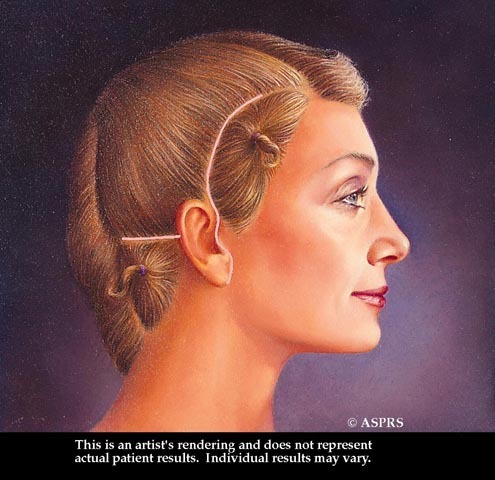 General anesthetic is utilized for most full facelift techniques. Limited incision approaches can usually be performed under sedation with local anesthesia. 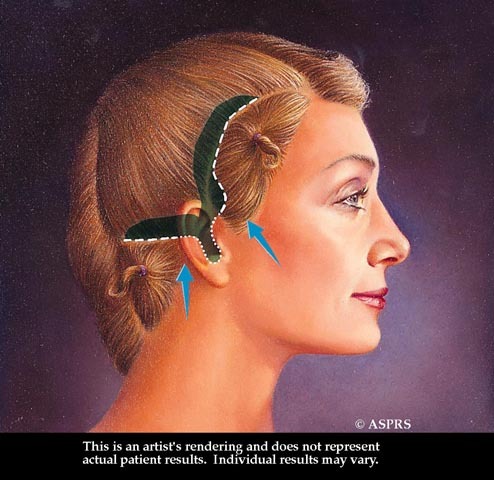 Have additional questions about the Facelift procedure? Schedule a Consultation with Dr. Knowling for further information.